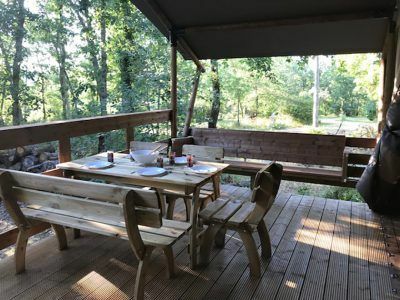 Why not let yourself be tempted by GLAMPING with the tent Lodge Dordogne ? 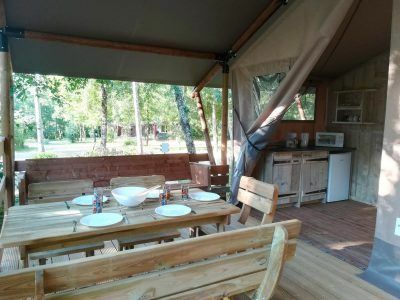 Very trendy and exotic, a good compromise between the rest of the campsite and the adventure of SAFARI! 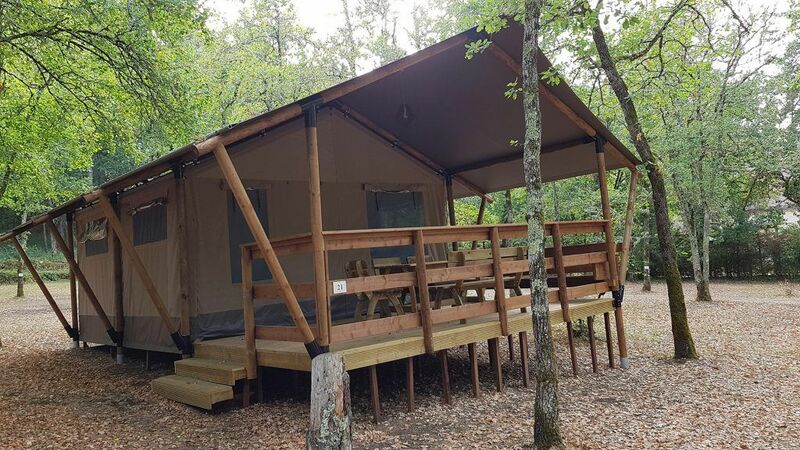 We offer 4 lodgings in a SAFARI-style Lodge tent Dordogne located on the edge of the woods. 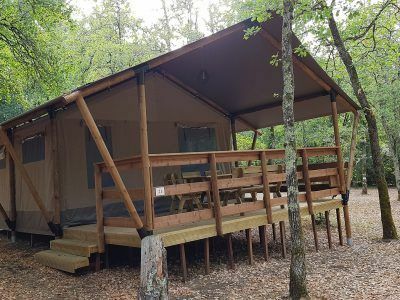 You will be able to enjoy nature, cicadas, birds singing, including the distinctive cry of the tawny owl and the soft sound of the swinging branches. 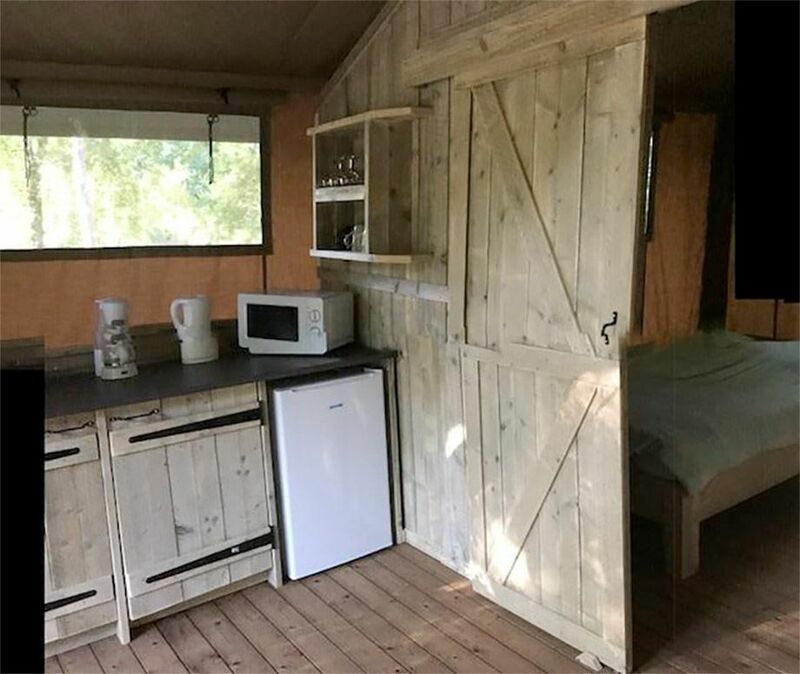 For a different, exotic, unforgettable stay in a relaxed and pleasant atmosphere. You will appreciate the wooden furniture and comfort of this pretty Lodge tent. 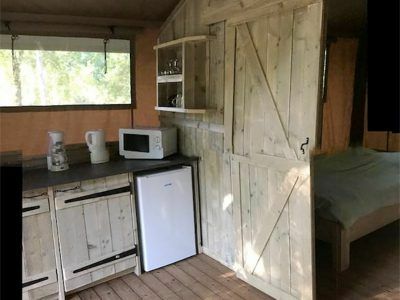 The kitchen is equipped with a water point with sink, a gas cooker, a microwave oven, a refrigerator with freezer, a coffee maker, a kettle and a complete dish service for 5 people. 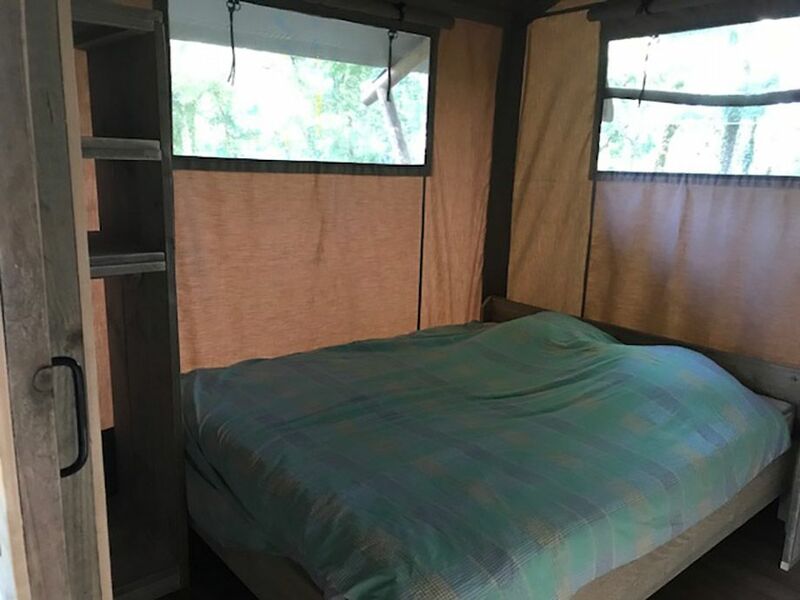 The tents have one bedroom with double bed 160 x 200 cm and shelf, one bedroom with triple beds 80 x 200 cm and shelf. 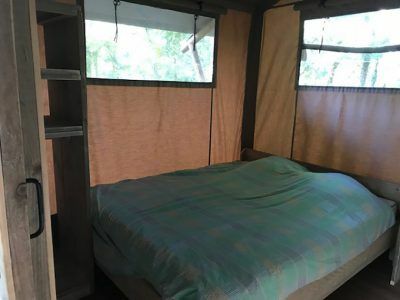 Mosquito nets are installed in each of the rooms so that the air can circulate freely. The entire tent Lodge Dordogne has a raised wooden floor with a 15 m2 covered terrace with a wooden garden furniture. A large comfortable bench with cousins awaits you to fully enjoy your holidays with family or friends. Travel more serenely and avoid large line-ups on the Route. With us, you are free to choose your arrival and departure day !